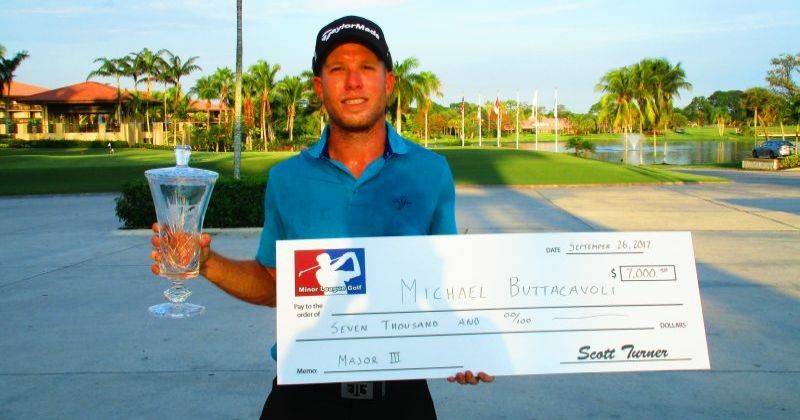 MIAMI, Fla. - Michael Buttacavoli from Miami Beach, FL, won for the fourth time on the PGA Tour LatinoAmerica at the season ending Shell Championship. He fired rounds of 66-65-72-67 for a 72 hole total of 270. The win moved him to 3rd on the final money list which earned his status on the 2019 Web.com Tour. Congratulations Michael and good luck on the Web.com Tour in 2019!